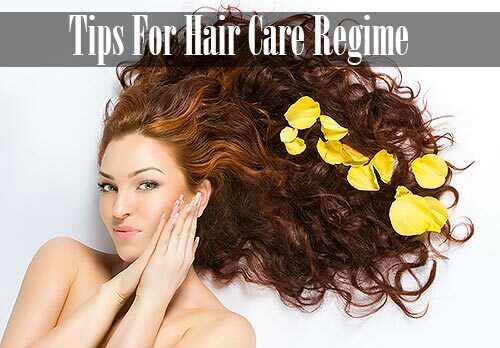 For dry and damaged hair, it is better to apply hot oil on the scalp and length of the hair before shampooing! Frequent shampooing can make your hair very dry as it robs your hair of all its natural oils! So oiling your hair before shampooing might be a good option. 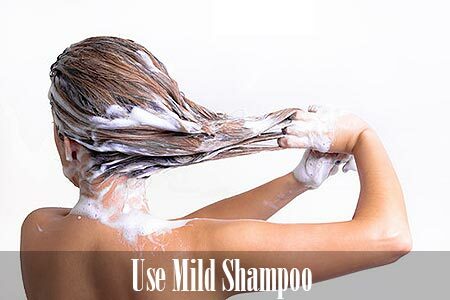 Wash hair using a mild shampoo. Do not shampoo too frequently. It may leave your hair very dry and frizzy! So shampooing twice a week should be enough. You may also use a mild baby shampoo if your hair requires cleaning on a regular basis! These chemicals that are often found in the shampoo are not good for your hair. Shampoos containing natural cleansers are the best! 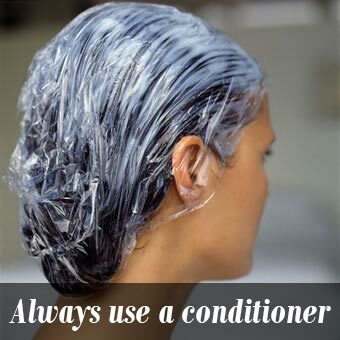 Adding a layer of conditioner on your hair for a few minutes, after rinsing off the shampoo with plain water, keeps your hair moisturized and soft! For that extra bit of shine and care throughout the day, apply a good serum to your hair after washing the conditioner off your hair! It should be applied on semi-wet, towel dried hair. Hair care regime post washing! 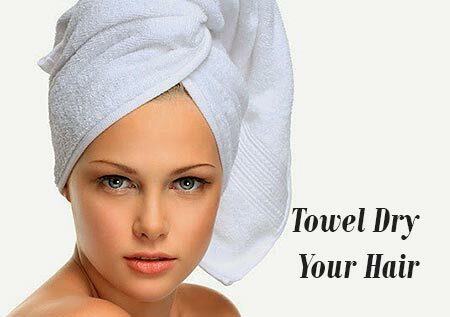 Use a cotton towel to dry to your hair instead of blow drying it. If blow drying is necessary at all, make sure you are not applying too much heat to dry them off! 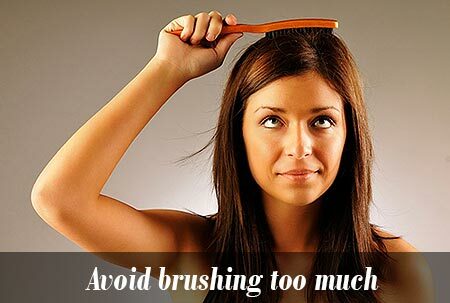 It may lead to damages in the form of split ends and frizz! 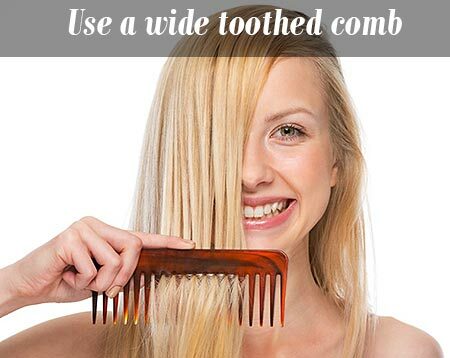 Use a wide toothed comb. This eliminates chances of breakage. This will prevent the occurrence of split ends and promote hair growth! This also works wonders for thinning and falling hair. Avoid straightening, curling, perming, crimping, bleaching or continuously coloring your hair! 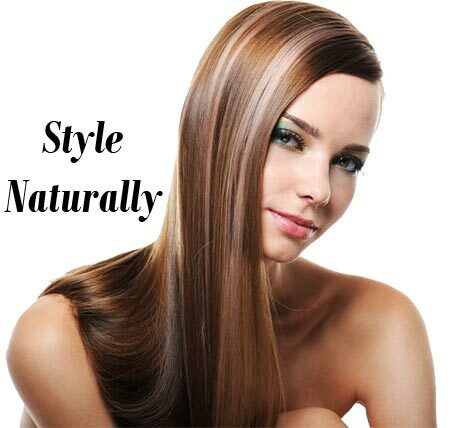 Use natural styling products instead of chemicals. 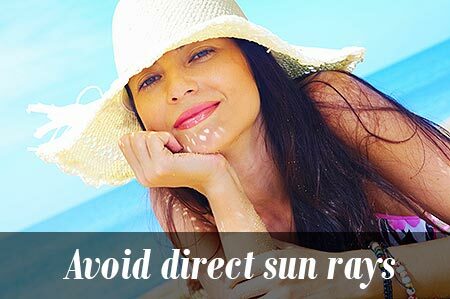 You can avoid a huge percentage of damage just by protecting your hair from the sun and pollution. Use natural products and natural ways to treat your hair! You may use products like root beer or reetha to wash your hair! You may also use a homemade protein pack containing egg white, yoghurt and honey to nourish your hair. Use a mixture of olive oil and coconut oil for hot oil massage! You can also add essential oils like sesame, rosemary, avocado etc to the mixture! A mixture of corn starch, olive oil, coconut milk and honey can be used to give your hair a natural straightening effect! Scalp treatments and root treatments should form an integral part of your hair care routine!